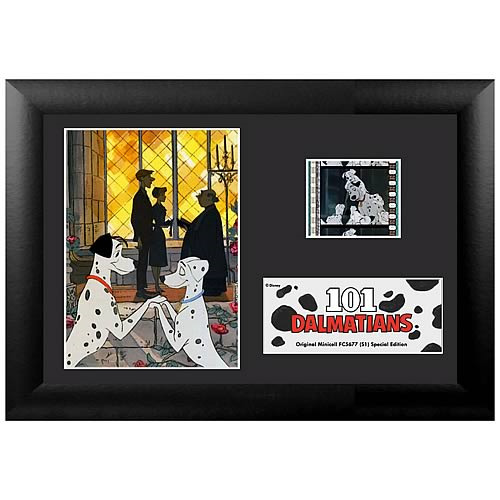 Shopping for 101 Dalmatians Film Cells? This amazing Series 1 mini film cell features a print and actual cells from Walt Disney's animated classic 101 Dalmatians. It measures 7 1/2-inches wide x 5 1/2-inches tall. Perfect for displaying in your home or at the office, all the elements are framed in black wood and include a certificate of authenticity. Order yours today! Ages 13 and up.